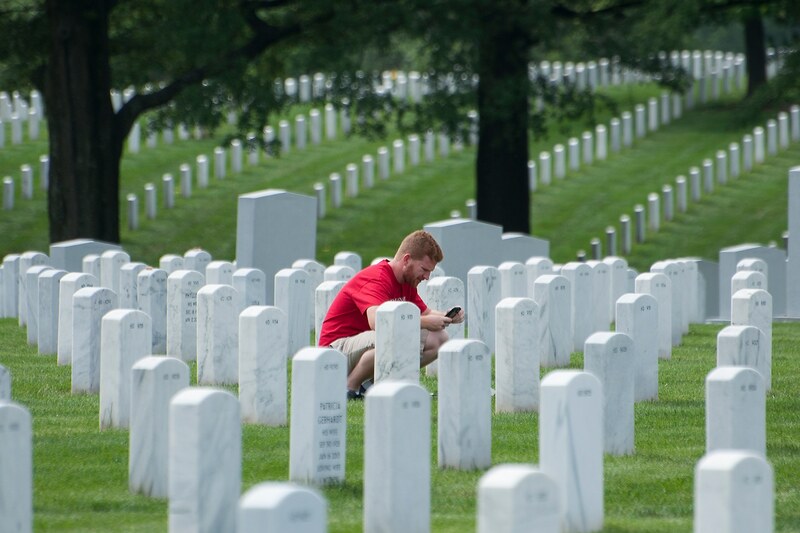 One of the most emotional occasions happens each year when the Freedom Alliance Scholarship recipients make their journey to Arlington National Cemetery to honor the parents who have died in service to our country. 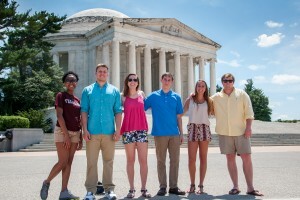 This year was no different, with 14 students coming from around the country for a weekend in the nation’s capital. The Freedom Alliance Scholarship Fund financially supports the children of our nation’s fallen heroes. We offer this retreat, as well, always around the time of Father’s Day, as a way of honoring the memories of those who gave their lives, while showing their children that we haven’t forgotten their sacrifice either. It is a distinct privilege to be their hosts, and year after year, we at Freedom Alliance are impressed by the bond we see develop amongst these young people who share a remarkable loss. This year, old friends reunited and newcomers were welcomed in. All participants seemed to sustain one another as they approached that important but very hard thing they had come to do. 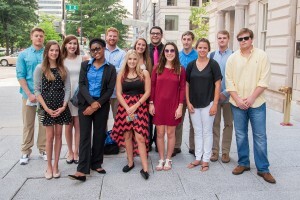 Before we got to the focus of the trip, however, we provided lots of D.C.-specific entertainment and fine meals. Included in this year’s retreat was a White House tour (during which the gang was met by Bo, the first dog! 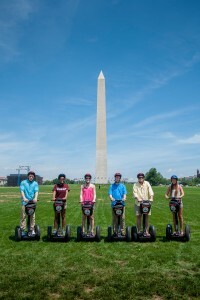 ); a spin around the city in Segways, to visit the famous monuments and memorials; admission to the Fox News studio; and complimentary tickets to Madame Tussaud’s Wax Museum. 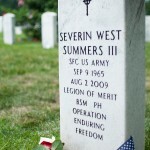 When it was eventually time to visit the cemetery, we gave each student a wreath, some flowers, and a small flag to place at the various markers. One of our students said this is “the hardest part of the weekend,” which is usually the sentiment every year, but ultimately everyone is thankful for the time spent at the memorials. Cheyenne Yost has graduated from Michigan State University, and her forthcoming marketing job has her moving to California. She isn’t sure when she’ll be back to Arlington Cemetery, and so she left a photograph of herself in cap and gown at her father’s stone. It was heartwarming to see that some of the participants even visited the burial sites of other dads. We can’t think of any better people, having lost parents in the same circumstances, to carry the burdens for one another, which is why the results of this retreat come to endure. Friendships forged here amid the monuments seem to last. While David reflected in the cemetery, a tour bus drove by and announced through its speakers the site of his father’s grave. Sergeant First Class Paul R. Smith was killed in Iraq in 2003, and was awarded the Medal of Honor posthumously. 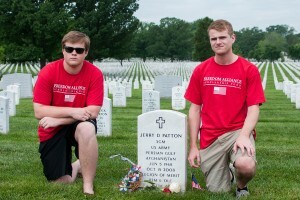 We want all our scholarship recipients to know that Freedom Alliance won’t ever forget your fathers. It is our calling to maintain their spirit of heroism by supporting you, their most precious loved ones, so that the world may know what your fathers sacrificed for our freedom.